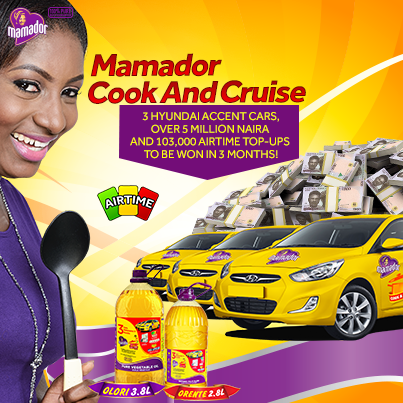 The #MamadorCookAndCruise promo is in full effect! We're giving away 3 Hyundai Accent cars, over N5million, and 103,000 airtime top-ups!!! 1. Buy a 2.8L or 3.8L bottle of Mamador Pure Vegetable oil, you will notice the scratch panel and stars. 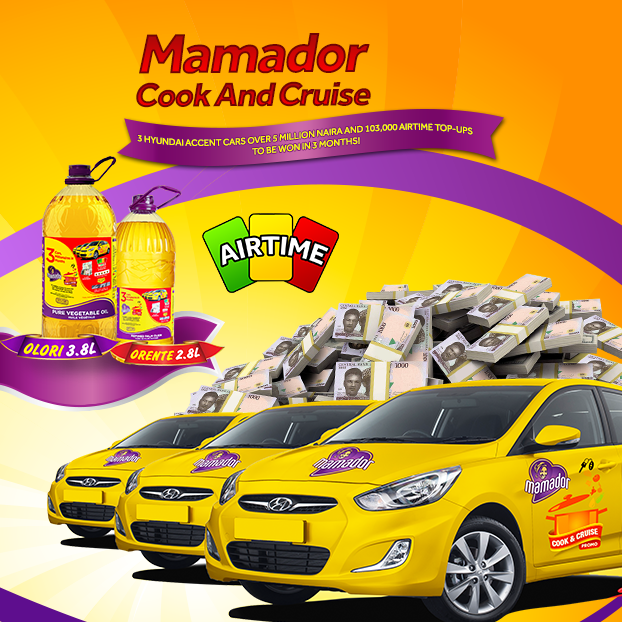 Click the link to view the list of stores selling Mamador cooking oil http://goo.gl/FcgvRe so you can enter the promo today! I've been trying to send this mamador followed by the serial number with no space to 20822 ND it's been deducting 10 naira as message fee then I'll get a reply telling me I sent the wrong serial. I don't get it. Is this a scam or what they have deducted over 200naira already n still not accepting my code. Pls help. i have tried it several times too, i was told wrong no., invalid no, etc. i am disapointed in this brand as i was one of their early customers and recommended it to my family and friends. Its time to move on as a lot of great oils are now in the market, customer loyalty should at least count.